Performing a reset on your iPhone SE can help in resolving several issues like device crushing, won’t ring or vibrate, freezing, cannot make calls or receive calls, the keyboard does not respond, device unexpectedly locks up, unresponsive touchscreen and so many other minor software issues. A reset is a primary method of troubleshooting a device and the good part is that it does not affect your data. With the basic knowledge, you can easily reset your iPhone SE and solve the software issues that you may be experiencing with your device. If you are considering reset your iPhone SE as brand new one or give it away or resell it, you may need to perform a reset in a safer way. When you delete your data from your iPhone SE, the data is not completely wiped off. The data is still saved somewhere on your device but you cannot see it. The deleted data can be easily retrieved using some software. Thanks to iMyFone Umate Pro for Windows or iMyFone Umate Pro for Mac, you can reset your iPhone SE completely and the data can never be recovered. This tool offers you a safe and efficient way to free up space on your device without the option of retrieving the data. It is the most efficient tool on the market that can help you reset your iPhone SE and protect your privacy. You are guaranteed to reset your iPhone SE completely by erasing data unrecoverable. You can keep your data safe like: messages, call logs, contacts, browsing history, notes, photos, videos, etc. 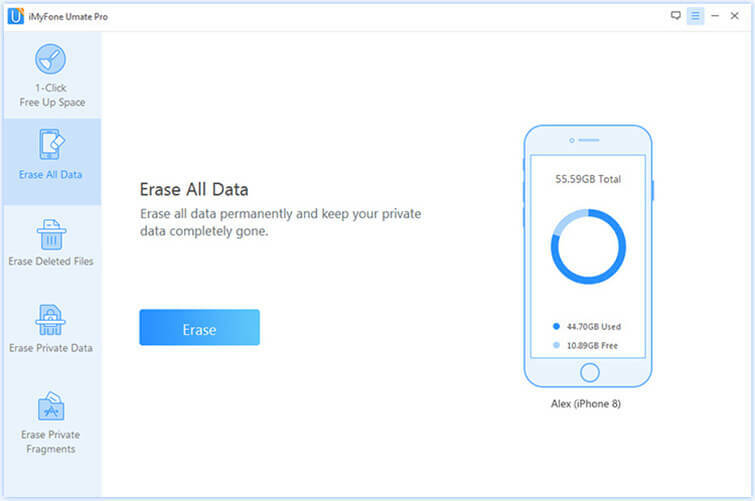 You are able to preview and erase even your already deleted data on your old iPhone. 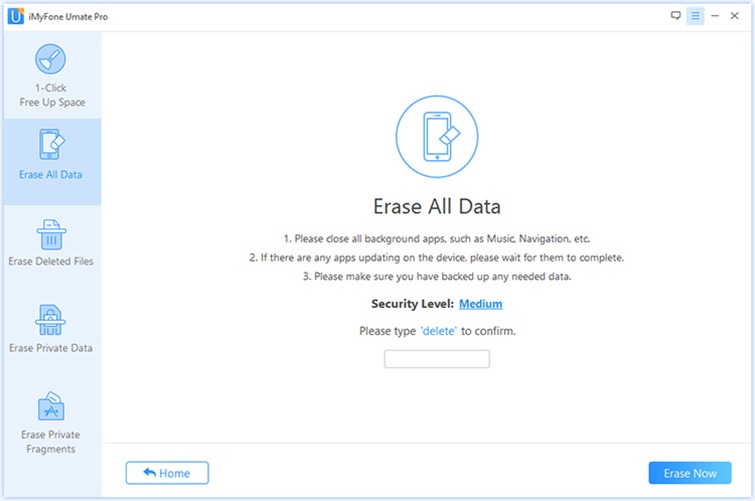 You can even erase messages and attachments of third-party Apps like WeChat, Kik and more. 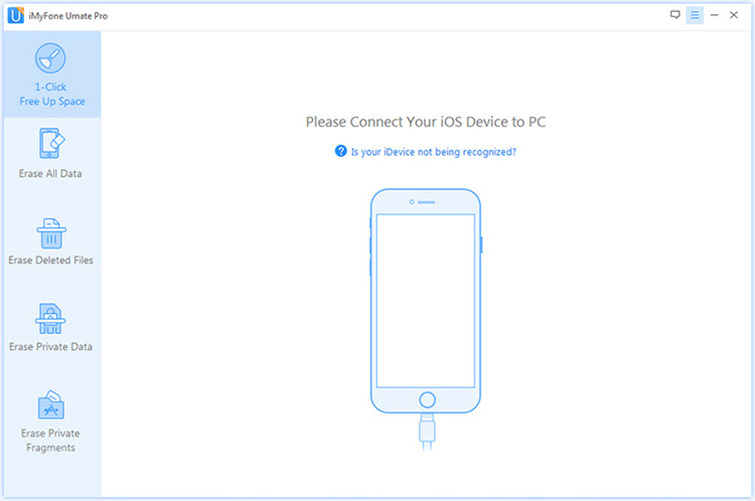 Step 1: Download and install iMyFone Umate Pro on your computer and launch it. Connect your device with it. Step 2: On the interface of the program choose Erase All Data button. Then click on the Erase tab. Step 3: Before choosing the Security Level, carefully read the security level settings and then choose the appropriate level for you. However, the medium level is recommended. Step 4: Click on the Erase Now button after confirming that you actually want to erase your iPhone. This will permanently delete all the data and reset your iPhone SE to brand new. Step 1: On the Home screen, open Settings> General > Reset. Step 2: Choose Erase All Content and Settings. Step 3: Enter the password of your device if prompted and then confirm your selection. Step 4: Wait for the process to complete and then restore your data files from the backup to your device. 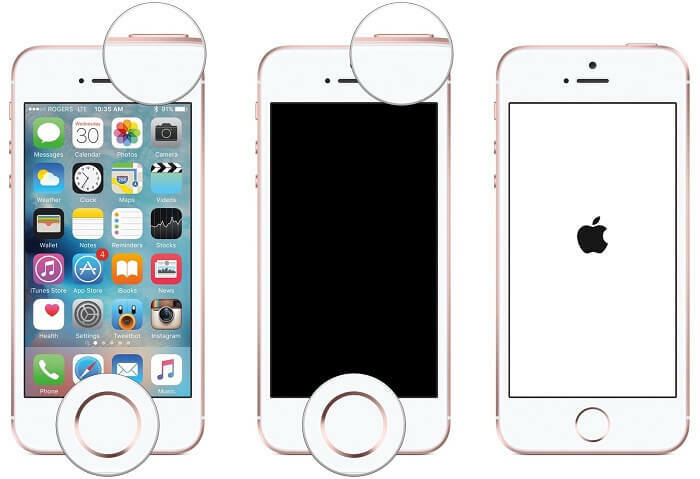 Step 1: Press and hold the Power/Sleep/Wake button and Home button together at the same time. Step 2: Keep both buttons held down for 10 seconds. Step 3: Do not release the Power/Sleep/Wake button and Home button until the home screen flashes and the Apple logo appears. Learning how to reset iPhone SE is essential to anyone who owns this iPhone model. However, other methods are not as convenient and effective as using iMyFone Umate Pro. With this tool, you can easily reset, erase and create space on your device in a professional manner. This tool permanently deletes all unwanted files from your device and no one can ever trace them again. Try it today.